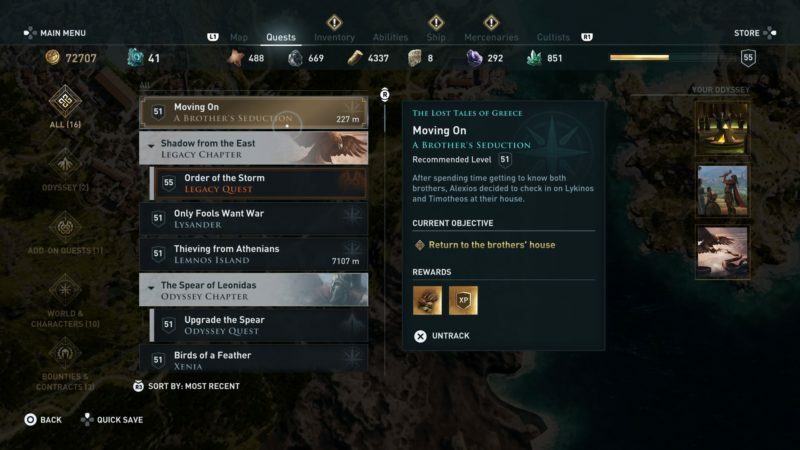 Moving On is a quest under The Lost Tales of Greece in Assassin’s Creed Odyssey. 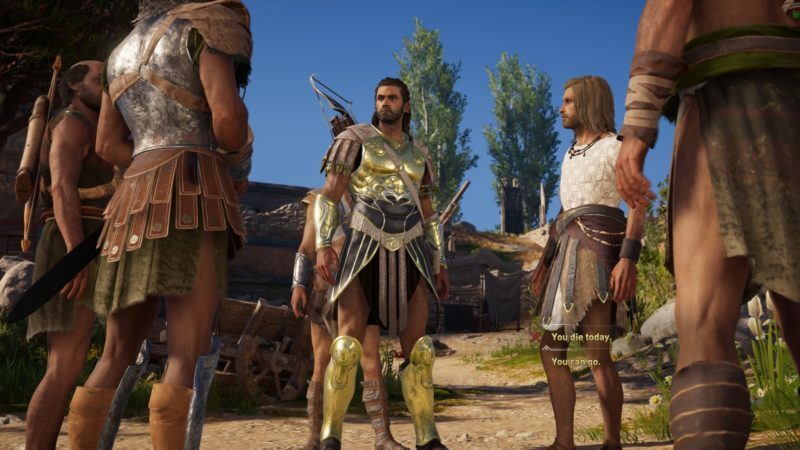 Your task is to look for the brothers Timotheos and Lykinos one last time. 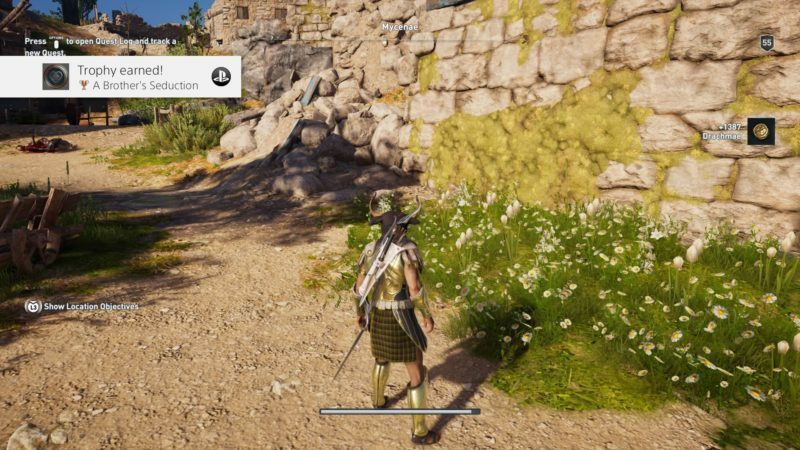 Here’s a walkthrough of Moving On in AC Odyssey. 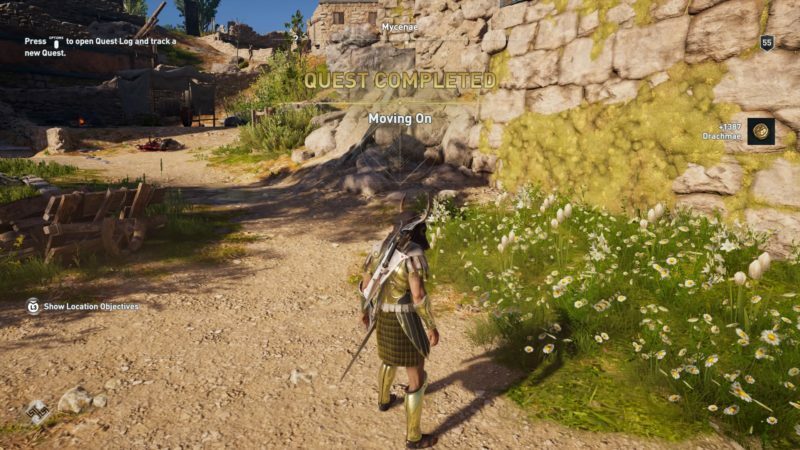 This quest is recommended for those level 51 and above, but it differs according to your level. The first thing you have to do is to get to the brothers’ house. 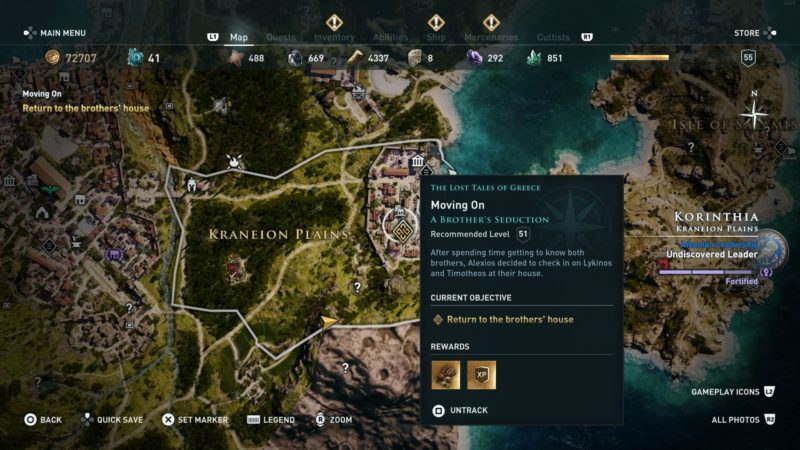 You can find the house in the location shown in the map below, marked by the quest symbol. You’ll notice that something bad may have happened. You need to investigate the area. The first clue is shown in the image below. The second and last clues are shown in the screenshot below. 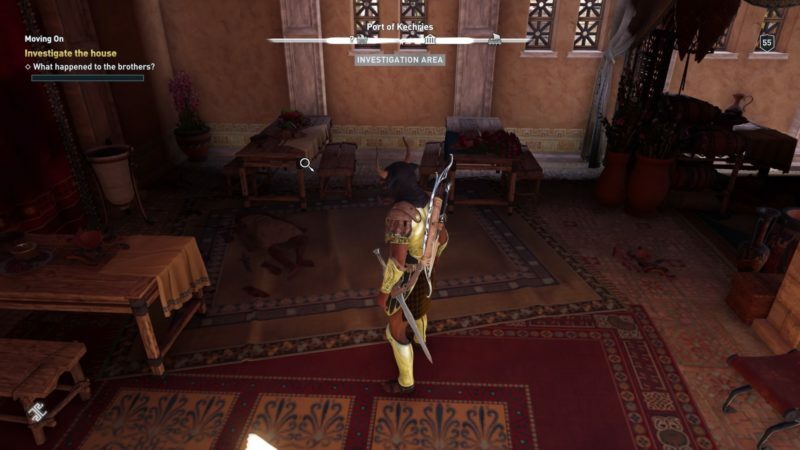 You’ll notice that Lykinos is still alive and he’s on the floor. 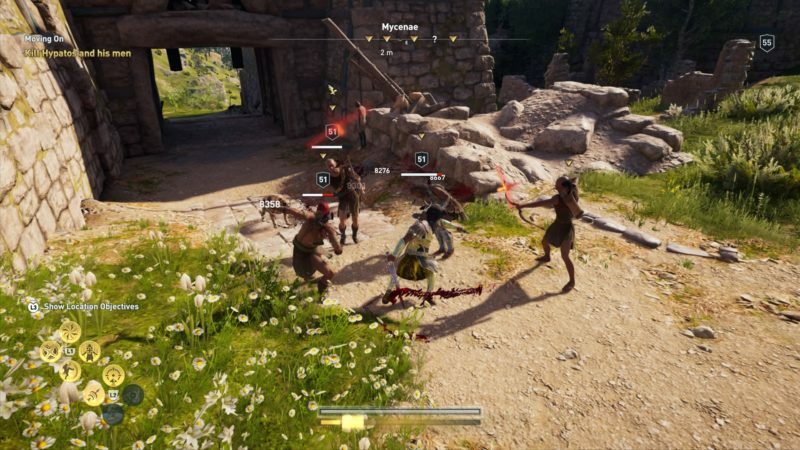 As Timotheos were taken from the bandits who killed his (and Lykinos’) father, you need to rescue him. 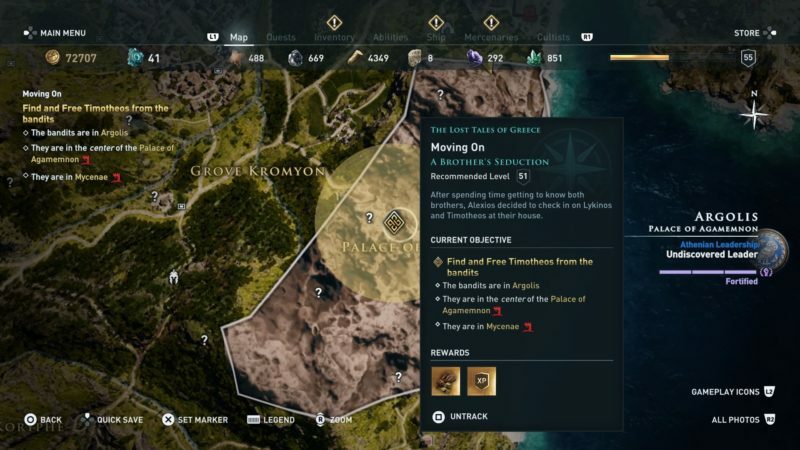 You can find the bandit camp in the location shown below. 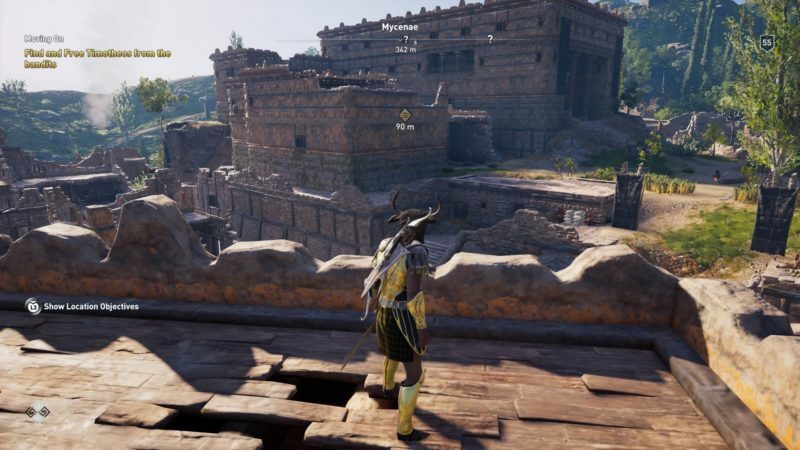 As you get nearer, you have to use Ikaros to pinpoint the exact location. Timotheos is held captive in a place called Mycenae. 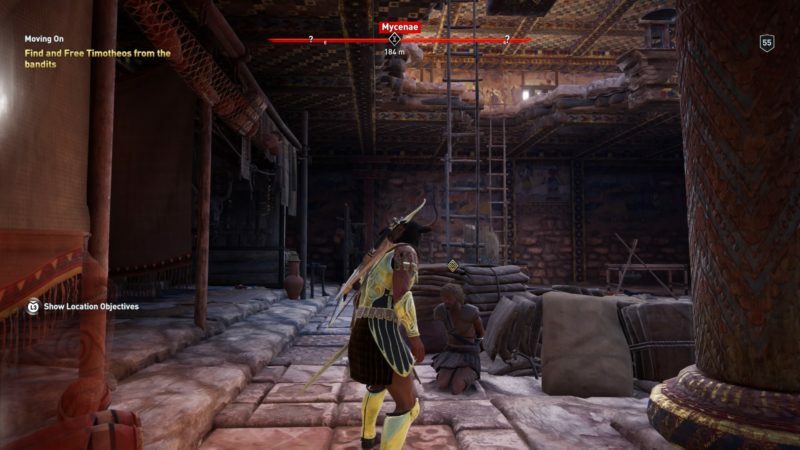 It’s actually a pretty big place and there are plenty of bandits inside. You may want to avoid some of them. 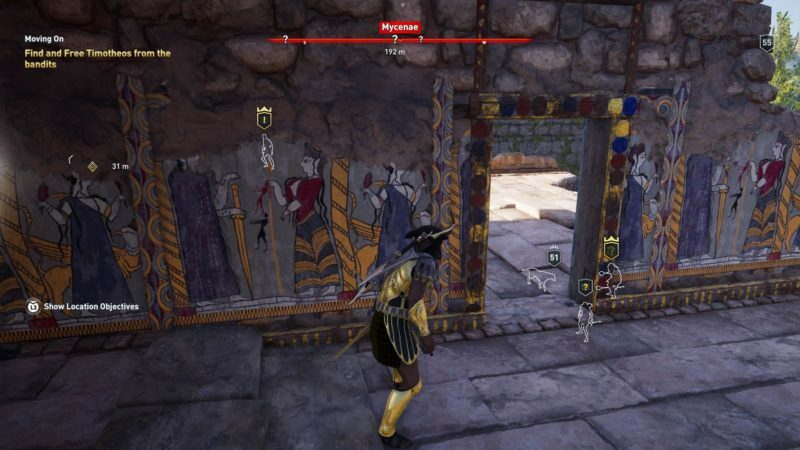 There are a few bandits near where Timotheos is. You can eliminate them using the Ghost of Artemis skill. Once the area is clear, untie him. 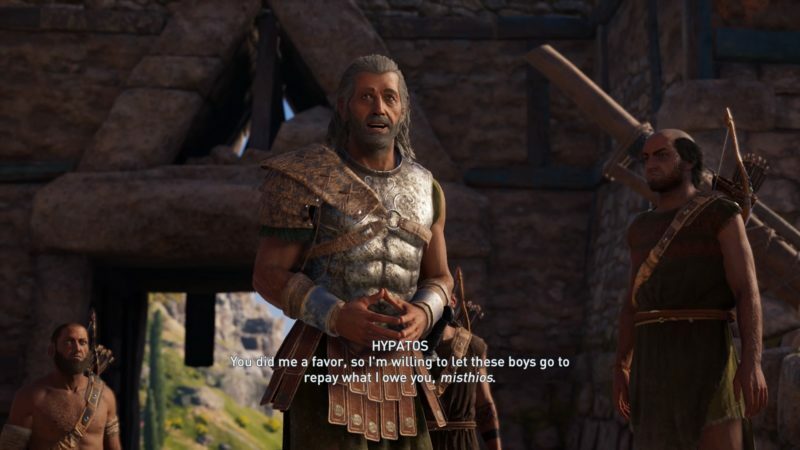 A cutscene will then load which shows Timotheos and Lykinos reuniting. Not long after, the bandit leader appeared and proposes to let them go. 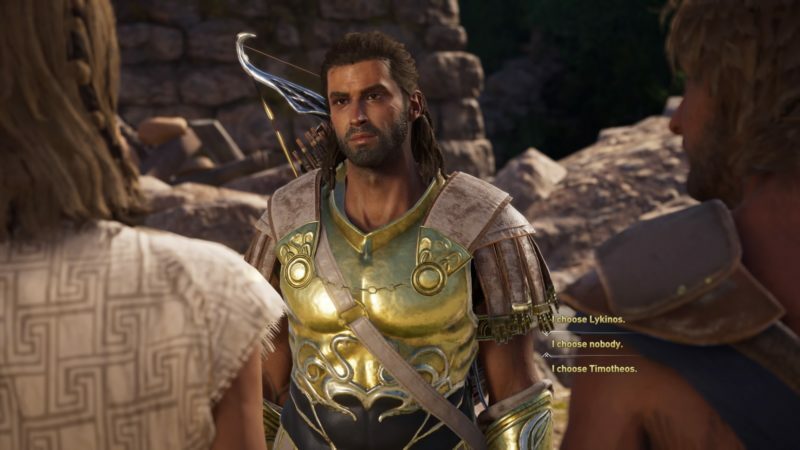 Apparently Alexios had accidentally helped him get rid of his rival. 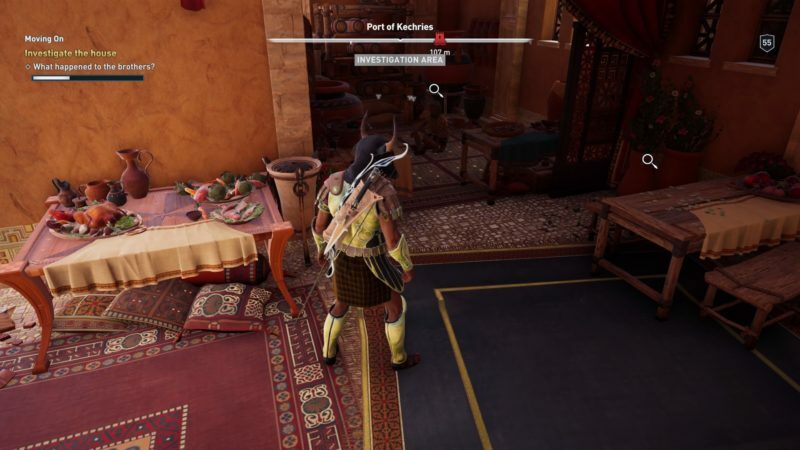 Now, you have the option of either doing nothing and leaving the area, or choosing to kill the bandit leader. I personally chose to get rid of the bandit. This fight is really easy as they’re all pretty weak. Defeat all of them. After beating them, a cutscene will load. 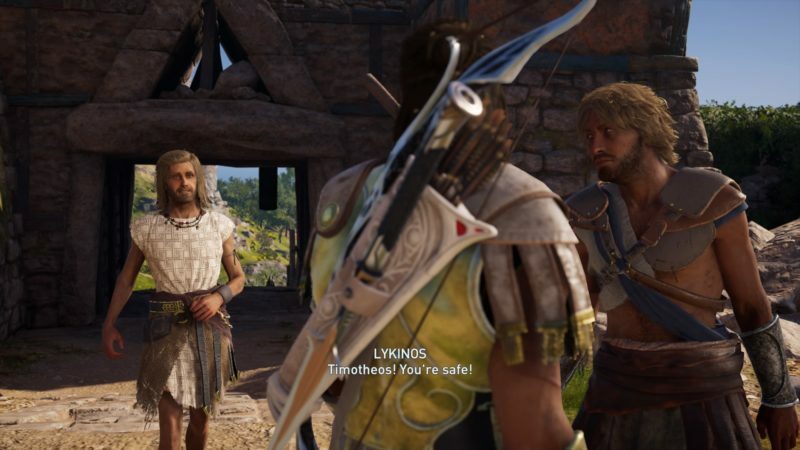 Timotheos and Lykinos both expresses their interest in you. You can either choose Lykinos, Timotheos or nobody. I personally chose nobody and they left for good. 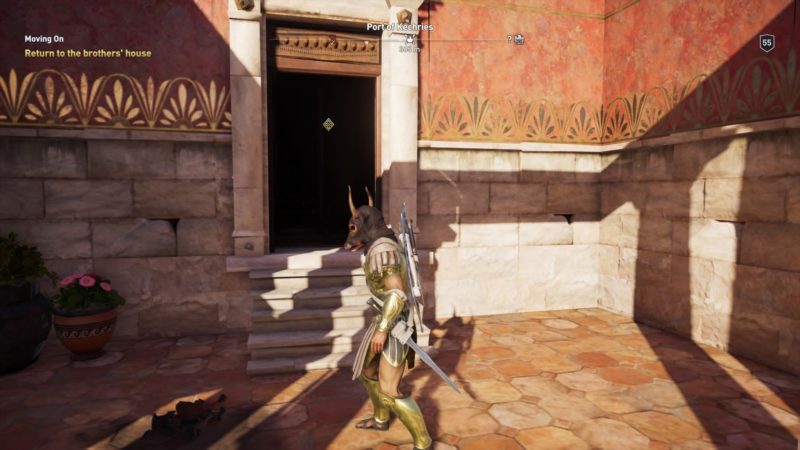 The quest completes here and you will earn some drachmae for your troubles. You will also get the trophy A Brother’s Seduction.